Most submersibles designed to hold over a dozen people are designed to function as military warships, with recreational versions usually having room for three or four people max. 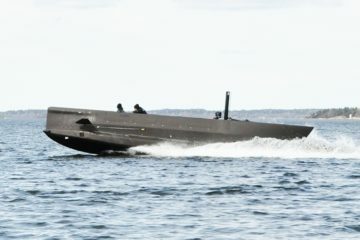 Not the Neyk Luxury Submarine, which can be equipped to ferry up to 20 people underwater. 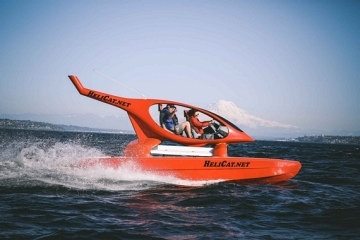 Billed as “the most maneuverable submarine in the world,” the teardrop-shaped submersible boasts easy operation, ensuring novices can take control of the watercraft with nothing but a small amount of training. That way, dodging underwater structures, sunken ships, and giant whales in repose won’t have to be a daunting challenge, allowing you to actually enjoy your time exploring underwater locations. 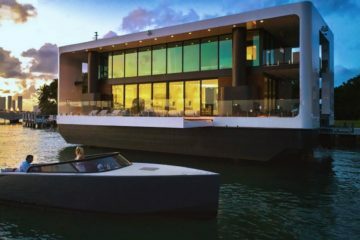 gth x width x height), with a 10-foot hull diameter that leave the space inside feel similar to a private jet’s cabin. Designed to operate at depths of up to 500 feet, the sub can both drive forward at satisfying speeds as well as hover in place using vertical thrusters on the dome, allowing passengers to enjoy the available sights for extended periods of time. It can be equipped with seats for up to 20 people, although only six seats can be installed in the windowed passenger section (so the rest won’t be able to enjoy the sights). Features include up to 150 hours of life support for a dozen passengers, built-in air-conditioning, and up to eight tons of payload. 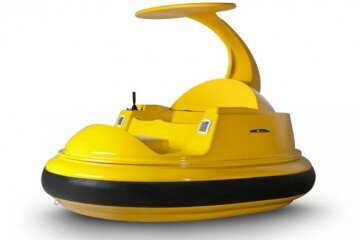 It can run at speeds of up to 11 knots on the surface, as well as 15 knots when submerged in the water. No pricing is listed, but the Neyk Luxury Submarine is available now. Wonder if Geico would let me add this onto my insurance policy? lol. Seriously, the liability insurance for this has got to be super-expensive. 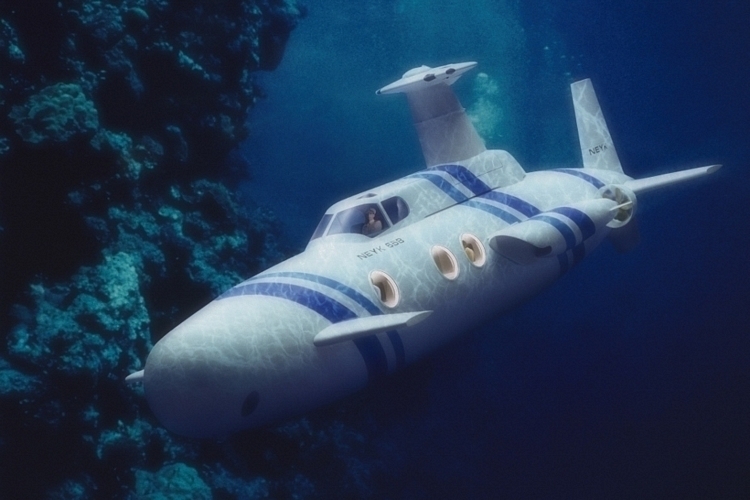 I can see the Neyk luxury submarine as a great business tool though. Imagine taking paying passengers underwater to explore old ship wrecks or simply to look at the aquatic life. Does the life support of 150 hours for 12 people increase by a lot if only 3-4 people are in it? I would assume so, but I am interested in the safety features and how the stored air works on this personal submarine. Oh yeah – I totally disregarded the idea or concept of insurance policy or budget here. Yeah, definitely a profitable business-tool! 😀 If you can afford the investment that is. Well, when you say ‘nefarious purposes’ I automatically just recall and want to re-illustrate that cartels and other criminals have been building their own custom ‘subs’ for years, so this is nothing new on that front – including if they ‘incidentally’ bought one of these for their ops. I mean, isn’t there a technological function or mechanism that can automatically re-float or resurface this submersible once it comes down to say 30-minutes of oxygen remaining (automatically)? With only 6 f the 20 seats available with a window, your passenger cargo would be less. Generally only people with window seats would pay for a sight seeing tour. Why pay money to go on a submarine tour if all you see is a bulkhead. I guess if the Neyk was being used more for transportation from point A to Point B that it would be all right, but where would you choose to use this for transporting passengers for utilitarian purposes as opposed to simply giving a tour? Regardless, I think the Neyk is a really interesting tech item. 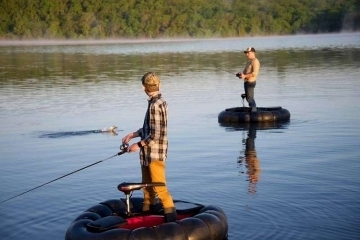 It is hard to believe that personal submarines like this can be purchased by practically anybody, as long as can afford it. I would be nervous to take ride in this, but I would love to take it down to my local lake and see the bottom-feeder Sturgeon up close and in their habitat. Who would have thought that personal submarines were something that anyone could buy during my lifetime. It’s really cool, but it leaves me with so many questions like how is anyone going to know how to drive this thing? Will there be classes, a license and can you even insure it? I hate to think but I wonder what would you do if something went wrong. I don’t think the average person is going to have a clue to any of these things or even know what eight tons of payload equates to how deep they can go. With all that said, it is absolutely beautiful inside and thank god for air conditioning am I right? Lol. That last part was a joke, but I think it’s awesome that technology has progressed this far in to allowing just about anyone to explore the ocean. So, is this for personal or professional use – or both? I’ve always wondered, why can’t they just make bullet-proof/pressure-proof bubbles for people to wonder around’ and jump around under the sea? What other technical specifications or elements am I disregarding with such a technologically innovative thought? I like how they mentioned “dodging whales” – scary thought! Speaking of which, what’s the maximum impact it can take based on weight, etc.? 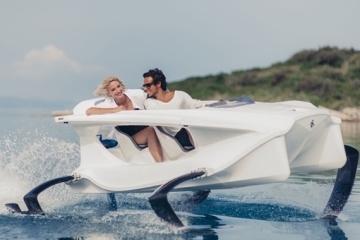 How “safe” is safe for this watercraft? I see no price is listed here, so then they are only being custom produced at the moment?